WARNING GRAPHIC IMAGES: Ted Richards, from Bristol, is now looking for a surgeon who will shape his nose into a beak. A man has cut off his ears in a bid to look more like his pet parrot - and is now seeking a surgeon to turn his nose into a beak. Ted Richards, 56, is obsessed by pets Ellie, Teaka, Timneh, Jake and Bubi, and has his face and eyeballs tattooed to pay tribute to them. 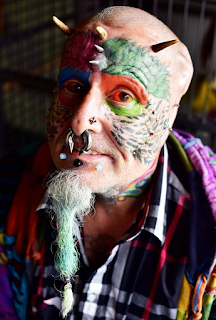 The eccentric animal lover, who has 110 tattoos, 50 piercings and a split tongue, had his lobes removed by a surgeon in a six hour operation. 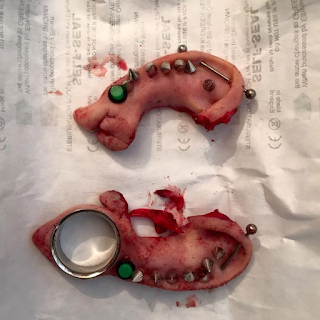 He has given the severed ears to a friend he said would "appreciate them" by preserving them in resin. 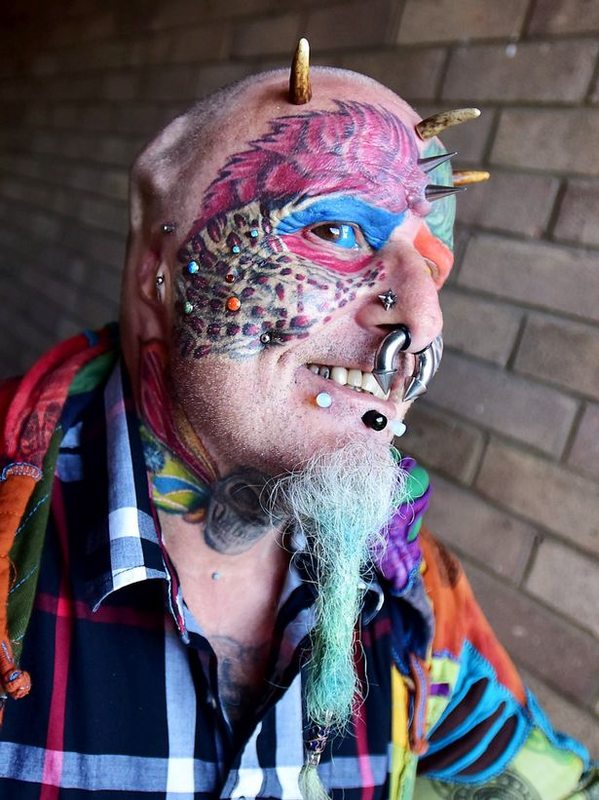 Mr Richards said he was delighted with his new look.He said: "I think it looks really great. I love it. It's the best thing that has happened to me. "I am so happy it's unreal, I can't stop looking in the mirror. 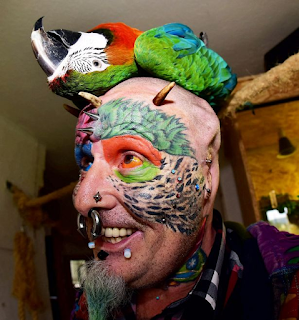 "I've done it because I want to look like my parrots as much as possible. "I've had my hair long fo r so many years my ears have been covered up. For the full story, please click on this link. News of the Weird: April 19th, 2015 issue.